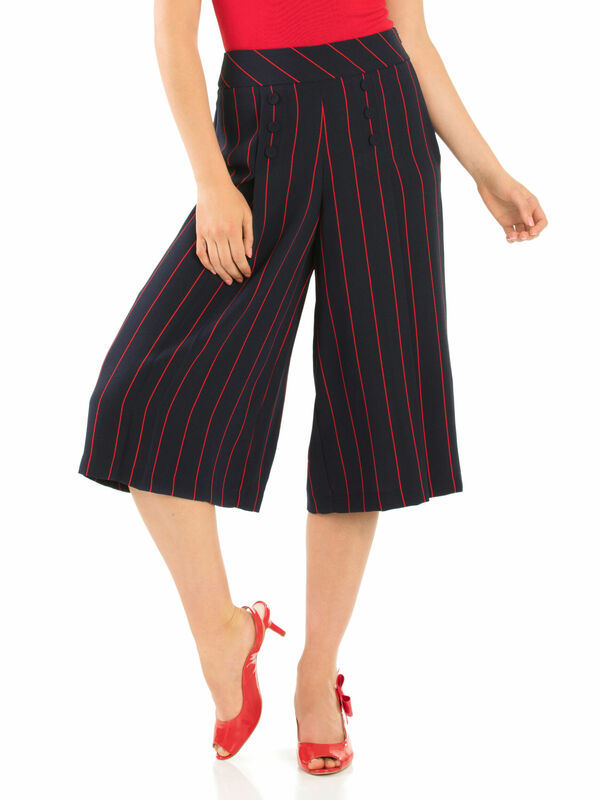 Anya Culottes https://www.review-australia.com/au/anya-culottes-navy/RE19PA030.RENVY013.html Combining traditional pinstripes with a modern wide legged fit, these Anya Culottes are perfect for work or play. 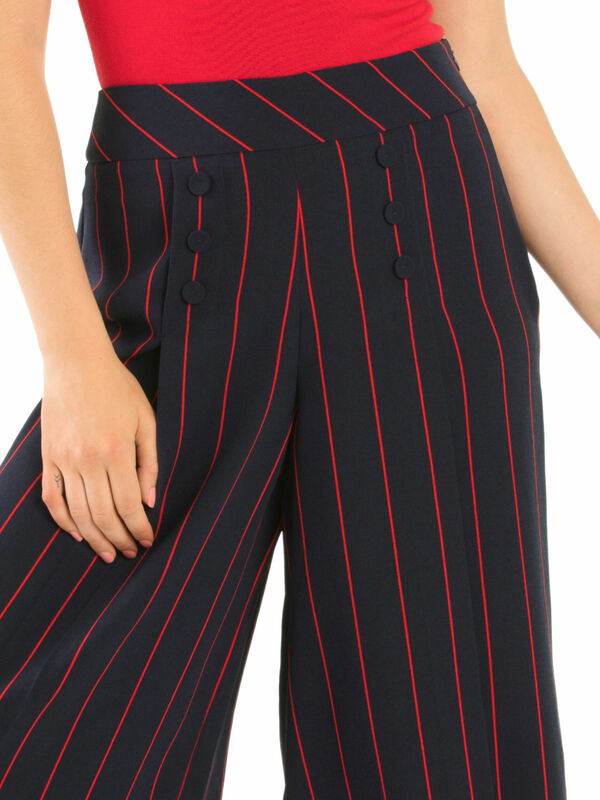 Fitted with double breasted buttons at the hips and secured with a hidden side zip. 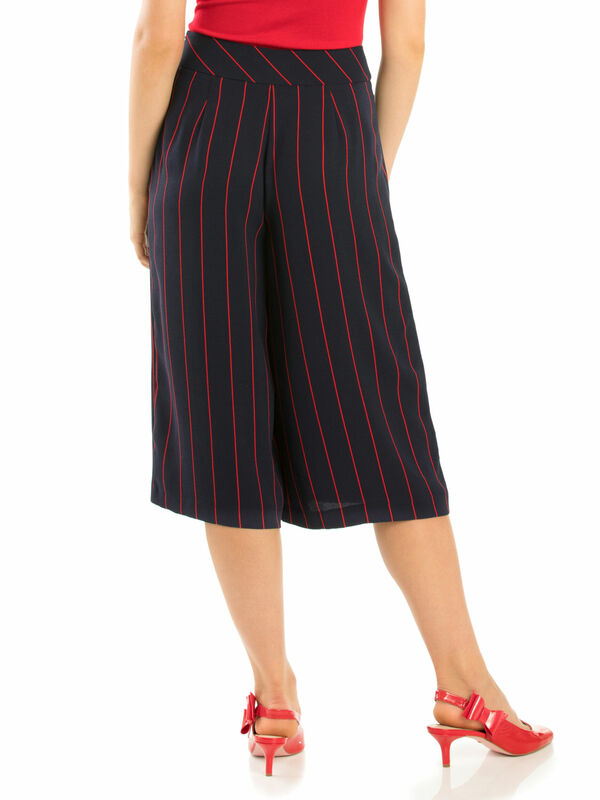 The flowing, knee length bottoms are the perfect addition to any modern woman's wardrobe. 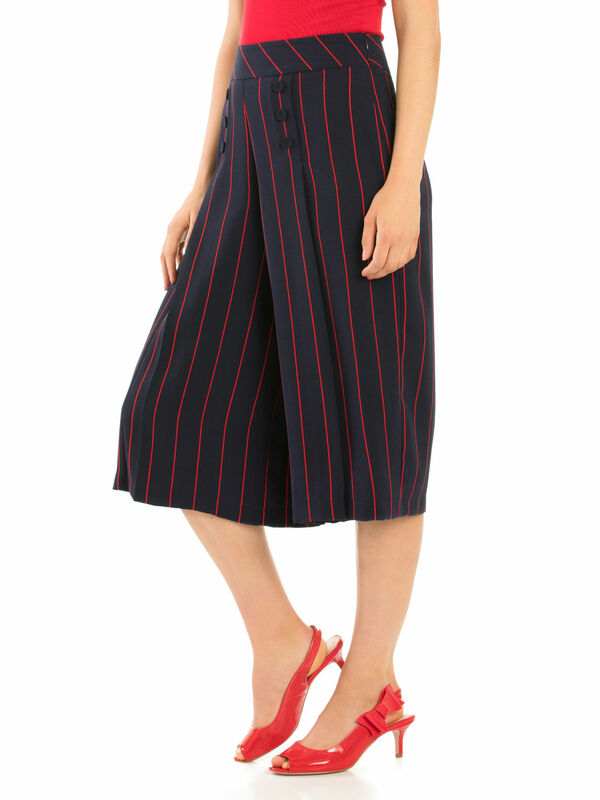 Anya Culottes is rated 4.0 out of 5 by 1. 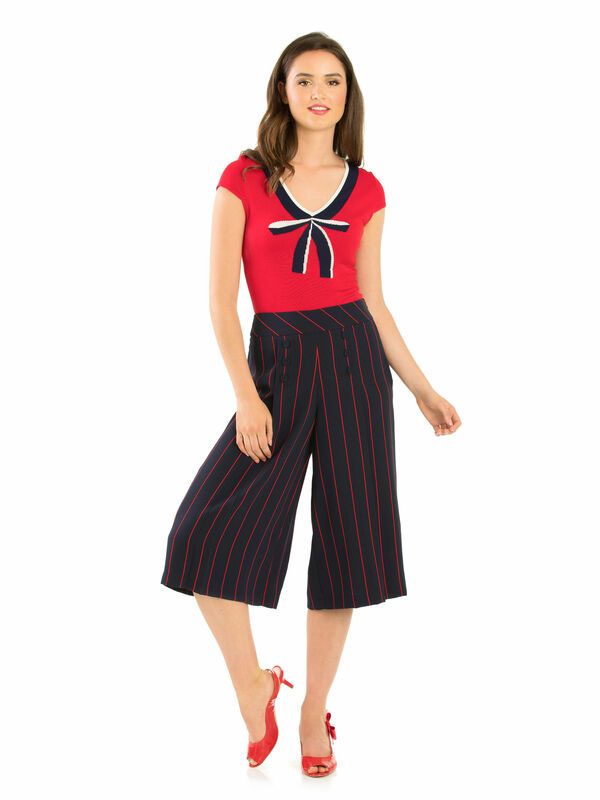 Rated 4 out of 5 by just_betsy from Lovely Great quality, exactly as pictured. Slightly longer than expected.